Avoid types of plants that have high leaf litter like deciduous trees with spines and cones, fruit bearing trees and crape myrtles. Stay away from plants that attract bees and other insects such as mint, oregano, sweet clovers, wisteria, Queen Anne’s lace and larkspur. You’ll also want to avoid any type of plant with prickly parts like roses and holly. It’s important to also do research on trees and plants with invasive roots, like elm, oak and ficus trees. 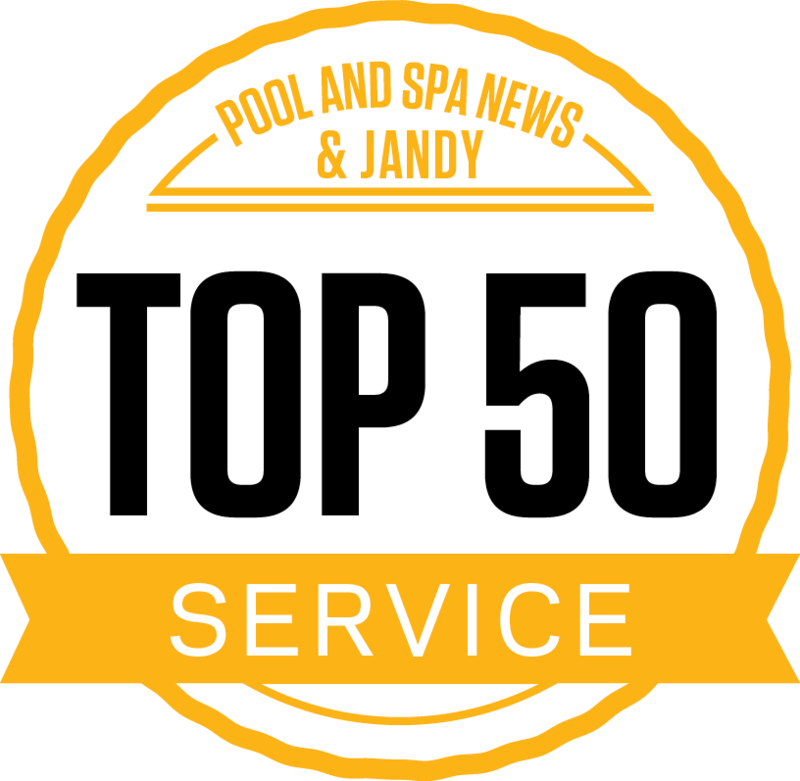 Over the years they can damage your pool’s structure and plumbing system. Trees that provide low leaf litter include red gum tree, fruitless olive and the Mediterranean fan palm. Examples of ideal plants for landscaping include shrubs like mountain laurel, dalea and calliandra, as well as long blooming flowers and ornamental grasses. Yucca, aloe and agave need minimal maintenance and love bright sun. Cactus plants are hardy and work well too but keep them far enough away so they don’t hurt bare feet. You’ll want to position low growing plants at least six to eight feet from the edge of the pool. 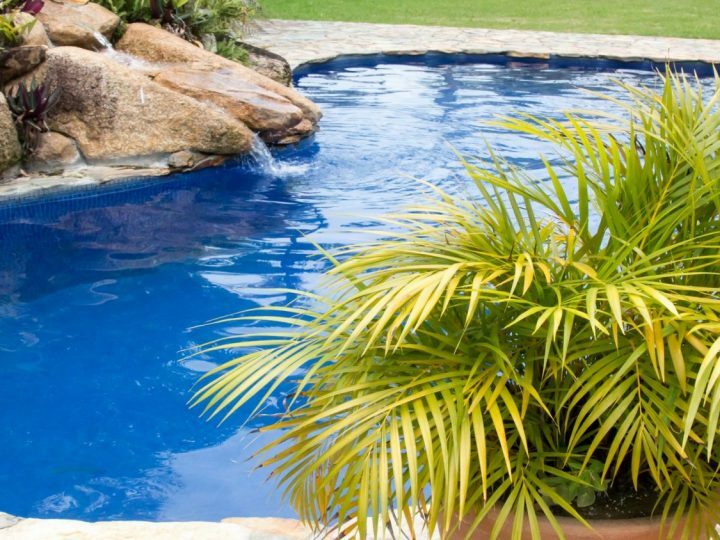 When creating a pool landscape, be sure to also consider the needs of the plants. They will most likely be exposed to splashing water, high light reflection, and bright sun, so design with plants that thrive in heat-loving and drought-tolerant conditions. 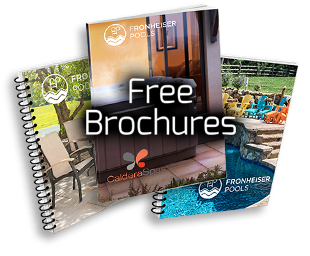 Putting thought and care into designing a poolside garden oasis will create an inviting ambiance that you’ll enjoy all season long with friends and family.